The eight-volume Museum Without Walls series sweeps across 4,000 years and three continents to document mankind's greatest artistic and architectural achievements. The program Le Corbusier offers a revealing look at the life and work of architect and city planner Charles-Edouard Jenneret, also known as Le Corbusier. One of the most significant architects of the early 1900s, his own unique style combines functionalism with expressionism. This program examines some of his buildings and delves into the master's philosophies on architecture and urban renewal. 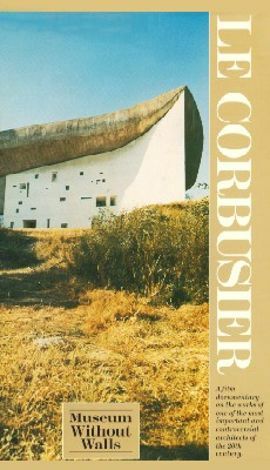 Other programs in this series include Giotto and the Pre-Renaissance, Goya, The Greek Temple, Germany -Dada, Picasso: War, Peace, Love, Crete and Mycenae, and The Cubist Epoch.